"The time for our attack has come." The time to attack has come. Your fleet awaits your command. The fate of the galaxy hangs in the balance. 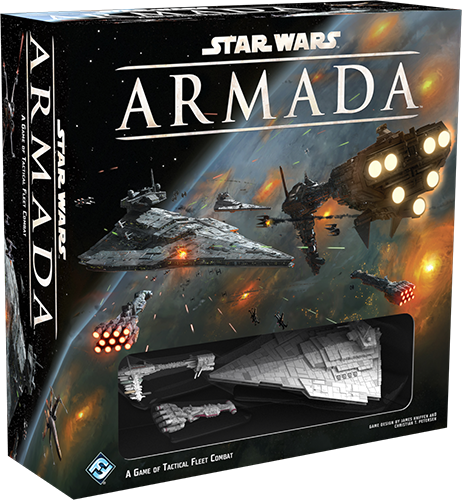 Star Wars™: Armada is now available at your local retailer and online through our webstore! 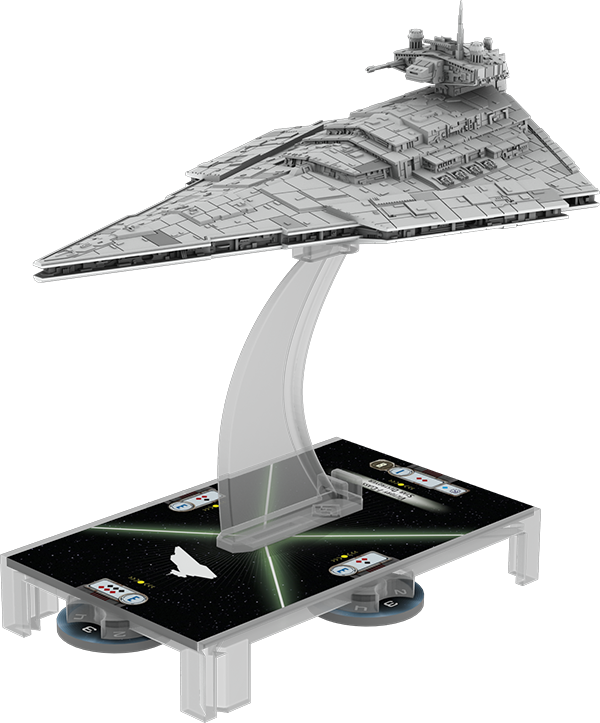 The two-player miniatures game of epic Star Wars space battles, Armada places you and your opponent in command of rival fleets. Massive war machines and crews of thousands await your commands. You assemble a fleet of capital ships and starfighter squadrons, then upgrade it with elite pilots, crew members, and advanced weaponry. You select your objective. Then you head to battle. Throughout our previews, we've explored how you command your ships, how they attack, and how they fly through the stars. 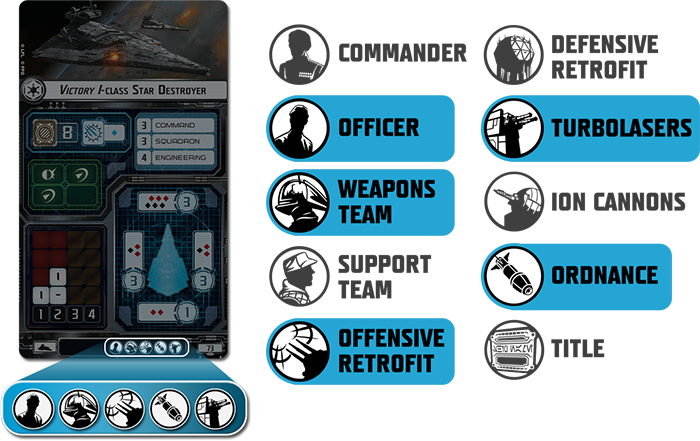 We've looked at the roles that starfighter squadrons and their ace pilots can play. We've covered the rules for fleet building, and we've examined the different ships from the Core Set and the first wave of expansions, as well as a number of sample fleets. Now, the Core Set is available, and the time for lessons and theory has come to an end. Civil War rages across the galaxy, your enemy has shown you a weakness, and the time has come to strike! What Do You Get in the Core Set? 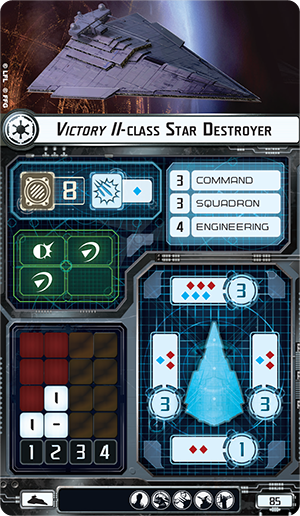 Your battles begin with the Core Set, which contains everything you need to get the enemy in your sights and launch devastating volleys of turbolaser fire, ion blasts, missiles, and proton torpedoes. You get ships, of course, but you also get much more than that. Just as your ships need vast crews to fly them, the Core Set provides you a wide array of cards, tokens, dice, and a custom maneuver tool to take your ships to war. The Star Wars: Armada Core Set presents three carefully detailed and pre-painted capital ships for your fleets: one Victory-class Star Destroyer for the Imperials, and two ships for the Rebellion, one CR90 Corelian corvette and one Nebulon-B frigate. 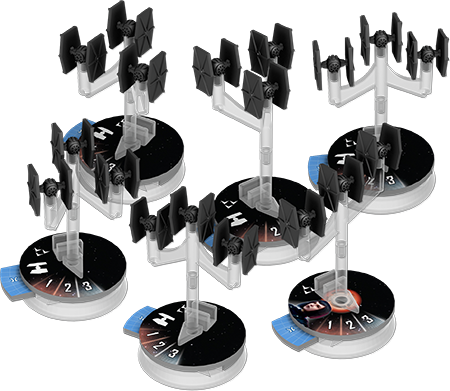 In addition to its three capital ships, the Armada Core Set also comes with ten unpainted starfighter squadrons. The Imperials gain six TIE squadrons, and the Rebels gain four X-wing squadrons. 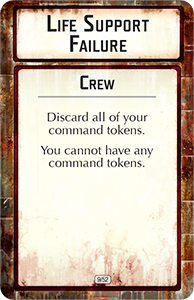 Like the capital ships, each of these squadrons comes with a card that identifies and clarifies its abilities and a token to correspond with its card. Accordingly, you can bring all your squadrons into battle as standard TIE Fighter Squadrons or X-wing Squadrons, or you can upgrade one of your squadrons to "Howlrunner" or Luke Skywalker, depending upon the fleet you command. Though these squadrons are unpainted, they come in colors selected to complement their fleets. As sleek and intimidating as their sculpts may look, it's their intuitive designs that truly bring these vessels to life as you send them to war. Each balances an easy-to-understand presentation with a tremendous depth of tactical possibility that befits its status as a capital ship amid the Star Wars galaxy's Civil War. Each ship in Armada is represented by a ship card and a matching ship token. The Core Set contains two ship cards and one double-sided ship token for each of the three different ships, for a total of six ship cards and three double-sided ship tokens. These condense a great deal of information into a format that's easily accessible. Even at a quick glance, you can identify the ship's name, its anti-squadron armament, its hull rating, its four hull zones, the armament of each, and their shield values. 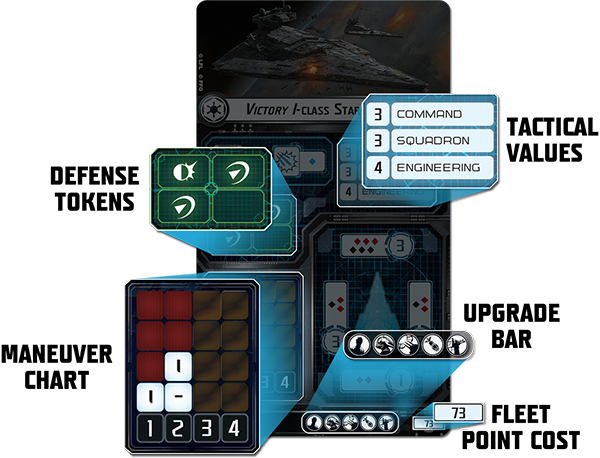 Additionally, the ship card presents several other pieces of information that don't also appear on the token: the ship's fleet point cost, its maneuver chart, its tactical values, the icons associated with its possible upgrades, and the icons associated with its defense tokens. 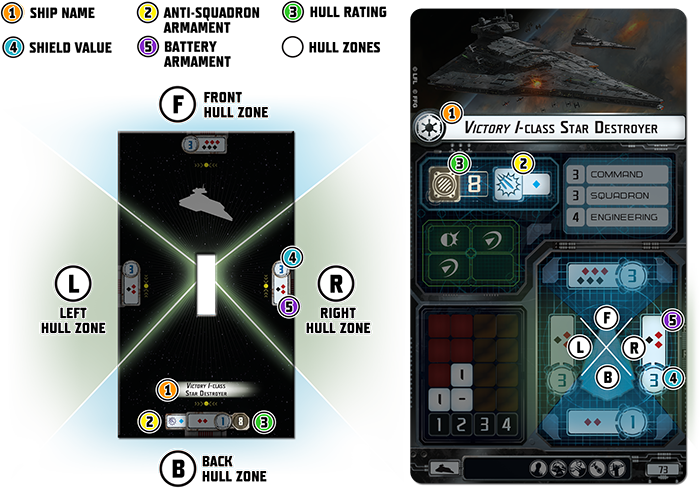 Even as your ship card and ship token compress all the information with your ship into an accessible format, the rules for ships in Armada allow you to develop rich and sophisticated tactics and strategies. Each ship boasts a potent and diversified armament that allows you to launch attacks of varying strengths from its four different hull zones. The attack dice that you can roll are indicated on the ship's base in the matching hull zone, and these attack dice each correspond to a different range, meaning that your attacks are most lethal at short range and less devastating at longer ranges. 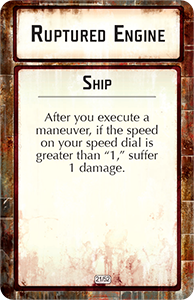 The fact that your ship is defined by the card and miniature together, rather than by the miniature alone, means that you can frequently choose between different armaments for the same miniature. Here we see the Victory I-class Star Destroyer (left) next to the Victory II-class Star Destroyer (right), which replaces all of the Victory I's short-range black attack dice with medium-range blue dice. However, the upgrade in the Star Destroyer's armament also comes with a twelve-point cost increase. 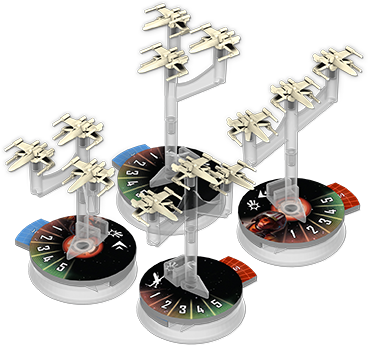 Each ship also features a number of defense tokens with which you can mitigate the impact of incoming attacks, and your strategic use of these tokens is likely to prove the difference between victory and defeat. Additionally, the Core Set comes with a damage deck of fifty-two cards that can introduce all sorts of catastrophes should your ship suffer a critical hit. You might suffer a Compartment Fire and lose access to your defense tokens, or your ship might suffer damage when it's caught by a Ruptured Engine as it's racing across the battlefield. Alternatively, you could blast through your opponent's shields to score Structural Damage or leave the ship limping in space with Life Support Failure . No matter the course of battle, the damage deck ensures that every critical hit is packed full of tension and drama. Meanwhile, the Core Set also comes with more than eighty tokens. 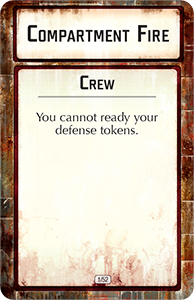 These include your three ship tokens, as well as six obstacle tokens, twelve defense tokens, twelve command tokens, ten victory tokens, and more. 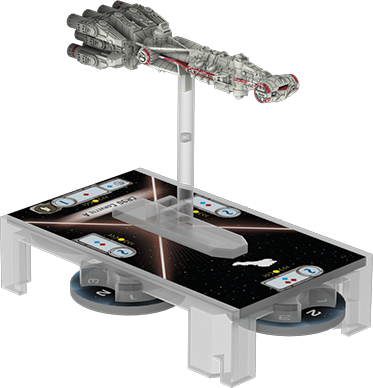 It will take you a few minutes to extract them from the punchboard, but these tokens help power your ships, add dimension to the battlefield, allow you to store and track your commands for use at just the right moment, and help you on your way to victory. As your battles begin and you and your opponent maneuver your fleets into attack position, you will need the Core Set's range ruler and attack dice to line up your attacks and launch them at the enemy. The double-sided range ruler features a speed guide for your squadrons on one side and a series of firing ranges on the other. Each of these range increments features a number of colored icons that indicate which of your ship's attack dice can possibly hit a target at that particular range increment. 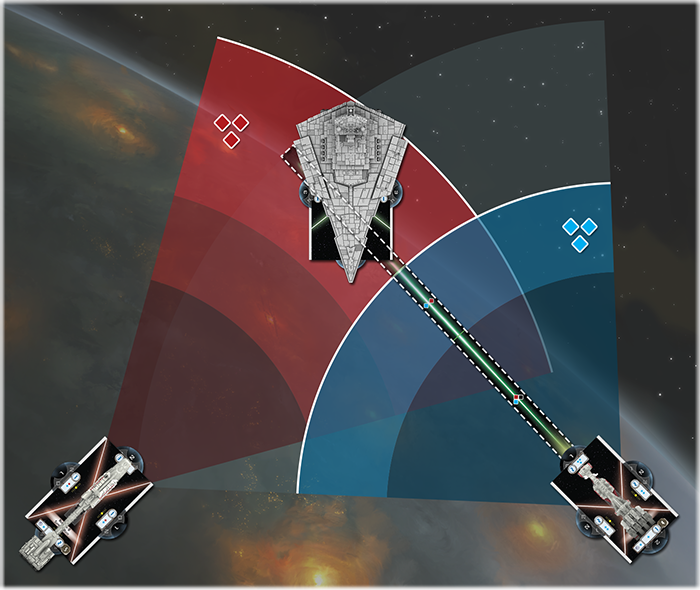 For example, the Nebulon-B Support Refit might be able to hit a Star Destroyer with all three of its red attack dice at long range, but a CR90 Corvette B at the same range wouldn't even be able to connect with any of its blue attack dice. Moreover, each of the three different colors of attack dice features a different spread of potential results. Blue dice are the most accurate, but the black dice deal the most damage. Still, if you're looking to fire your attacks at the longest possible range, you need red dice. In combination with the range ruler and your ships' armaments, the Core Set's nine attack dice, then, allow you to enjoy combats that are every bit as tactical and strategic as you would expect of a miniatures game of epic Star Wars fleet battles. 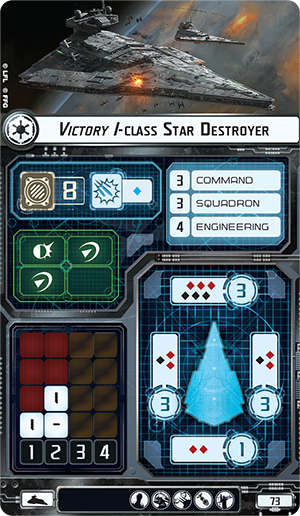 The final, distinctive ingredient of your Armada experience is the Core Set's unique maneuver tool, which comes articulated at four different joints. As we've shown in our previews, this innovative game tool allows you to quickly set your ships' courses and fly them through space, all while accounting for their awesome inertia. 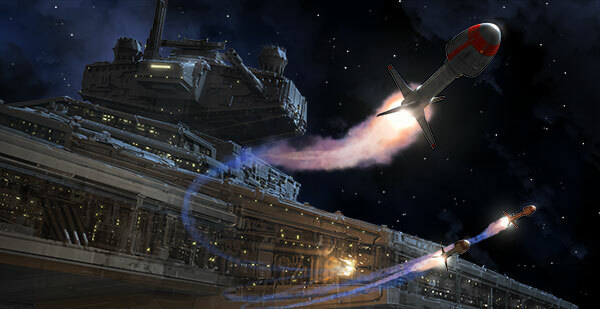 A Rebel player uses the Armada maneuver tool to execute a "3" speed maneuver with a Nebulon-B frigate. What's in the Armada Core Set? Open it, and you'll find all the above components, along with a Learn to Play rulebook and reference guide. You'll find all the command dials and speed dials and everything else that you need to play. Open the box, assemble your ships, build your fleet, and head to war. 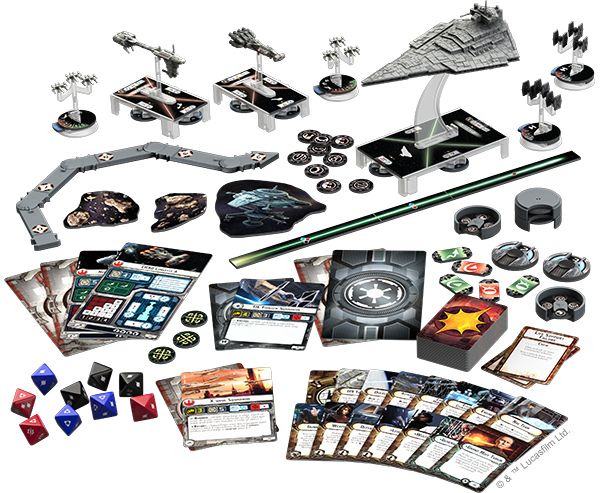 The Armada Core Set is your key to the galaxy's greatest space battles. More than starships, squadrons, and cards, it comes with action and drama. It offers you the opportunity to recreate and relive your favorite Star Wars space battles. If you're interested, it's your ticket to the game's Organized Play program, it's the foundation of a fleet that you can grow with the game's different expansions, and it's worth untold hours of enjoyment. 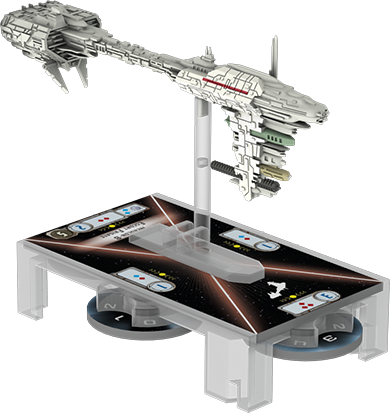 The Star Wars: Armada Core Set is now available at retailers everywhere. Watch a preview of Star Wars: Armada above or on YouTube and pick up your copy today!